Help is here, for those who ask..
Our mission is to make your noir disappearance comfortable, convenient, and affordable. With our connections to various travel companies, we can make your immediate escape possible with just one email. You remain a confidential client with House of Noir Getaways and we ensure that you will disappear without a trace at a moment’s notice. “Jerks of the past, jerks of the present, and the women who love them. 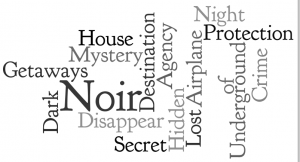 House of Noir is the radio show that takes your questions and answer them in real time. No need to feel embarrassed or ashamed; we are here for you every step of the way.